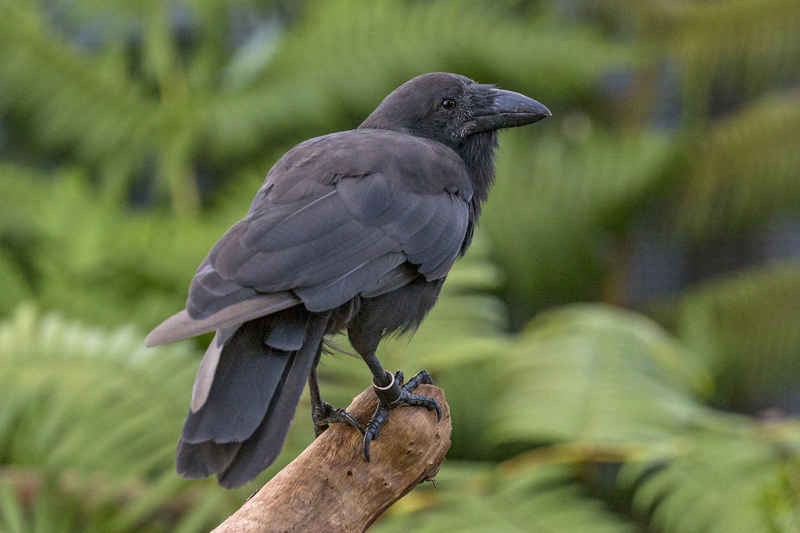 (Hilo, HI) - Six young ‘Alalā—critically endangered Hawaiian crows—were released into Pu‘u Maka‘ala Natural Area Reserve on the Island of Hawai‘i, today. The first group of birds: two females and four males took some time to emerge from the aviary where they had been temporarily housed and they appeared to show a natural curiosity for their surroundings. Plans are to release a second group of five birds: two females and three males in mid-October from the same release aviary. "The recovery of the ‘Alalā is an excellent example of partners working together to do something that has never been done before.” said Bryce Masuda, conservation program manager of the Hawai‘i Endangered Bird Conservation Program. “Although bringing the ‘Alalā back from the brink of extinction will take a lot of time and perseverance, many people are dedicated to saving this important species."